Tomorrow I will be taking yet Another Floating Holiday. This is usually what I end up doing in September when I realize that I have floating holidays/personal days that I have to use before the end of the Fiscal Year. 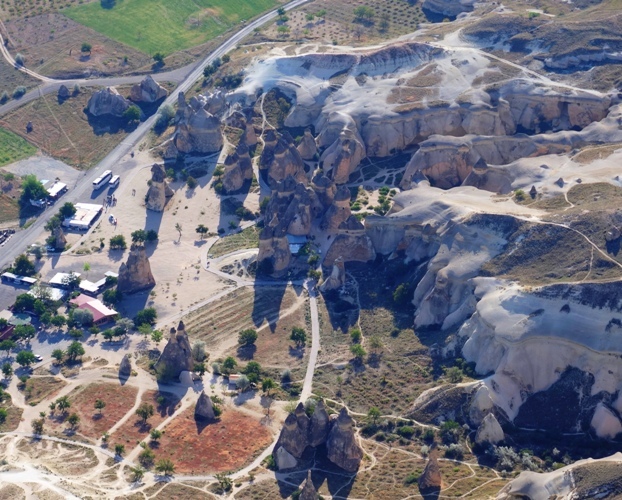 Second, I wrote last night about my Virtual Hike to Castle Rock, Kansas and my mind wandered to the interesting rock formations of Cappadocia. 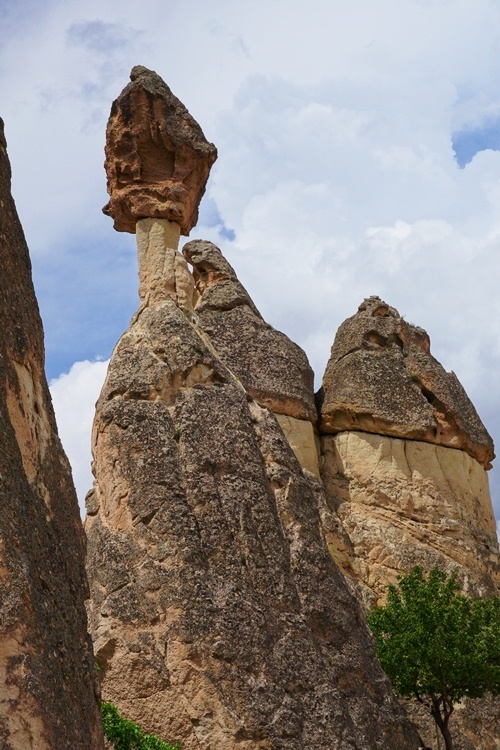 The Cappadocian Chimneys are very interesting formations. 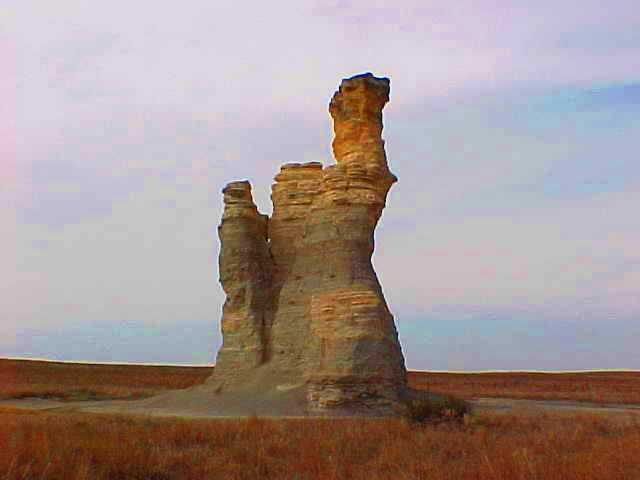 They have some similarities to the formations in Kansas. The chimneys are very interesting and it was really cool to walk among them since they are very tall. 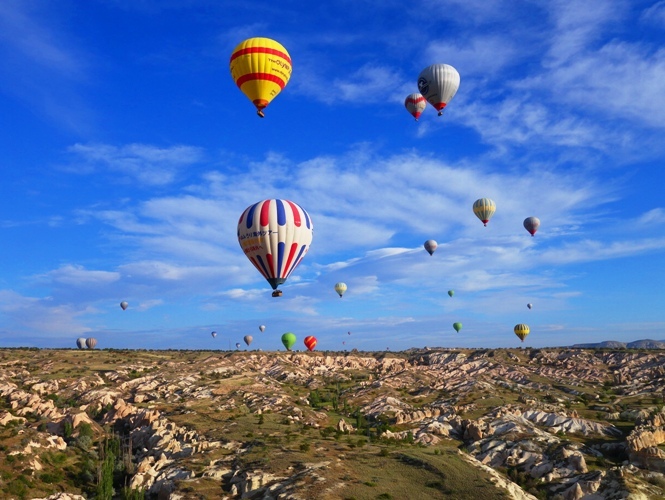 It was also interesting to see them from the air as we floated along in the balloons. 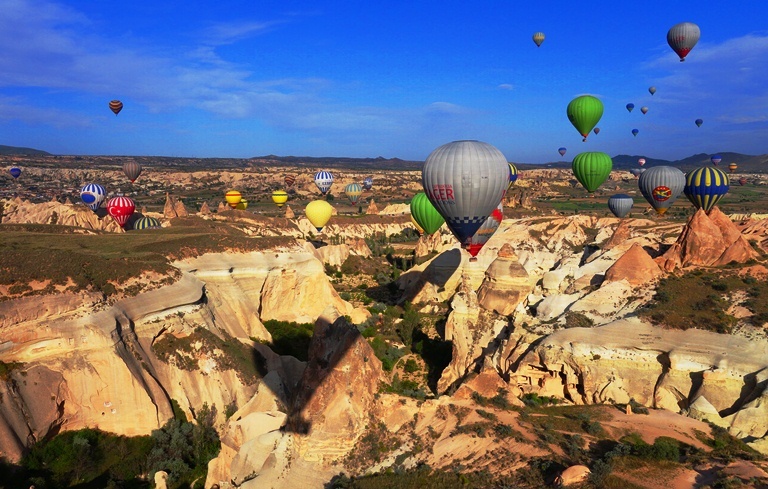 Here is one more view of the balloons over the interesting Cappadocian landscape. It was definitely a wonderful floating holiday. So, what will I do on my floating holiday tomorrow? I will most likely do some genealogical and historical research. I may go to a program in Oakland next weekend that has talks on Puritan roots in England and also about the Mayflower. I also plan on visiting the Train Layout at the Tracy Historical Museum. 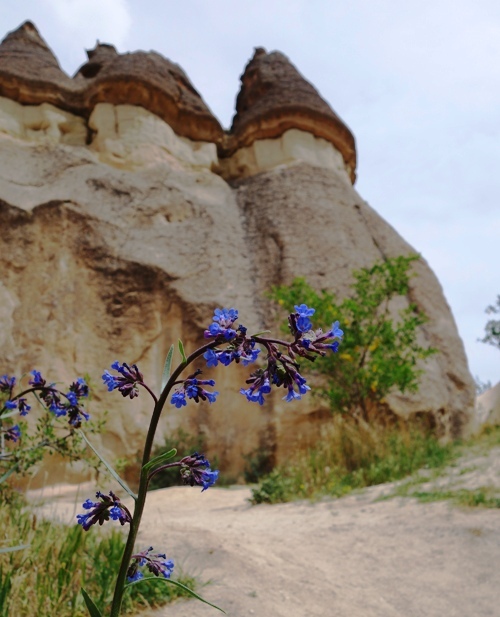 This entry was posted in Culture, Holidays, Memories, Nature, Travel, Turkey and tagged Balloons, Cappadocia, Castle Rock, fairy chimneys, Hot Air Balloons, rock formations. Bookmark the permalink.